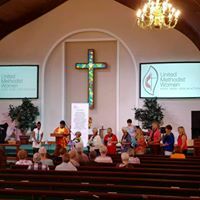 Welcome, and thank you for visiting South West District United Methodist Women of the Florida Conference online. We hope that you will be able to use this website in planning your upcoming UMW events. Current event forms, due dates, officers and contacts are available by clicking on the links at the top of this page. You may download our NEWSLETTER the "Sojourner" by clicking on the month you want and also submit news using the form provided. Click on the CALENDAR to keep up with our District events. If you need to contact us, click on the EMAIL link and someone will get back to you with answers to your questions. If your Unit is willing to host one of our events, please click on the link below to see what is required! 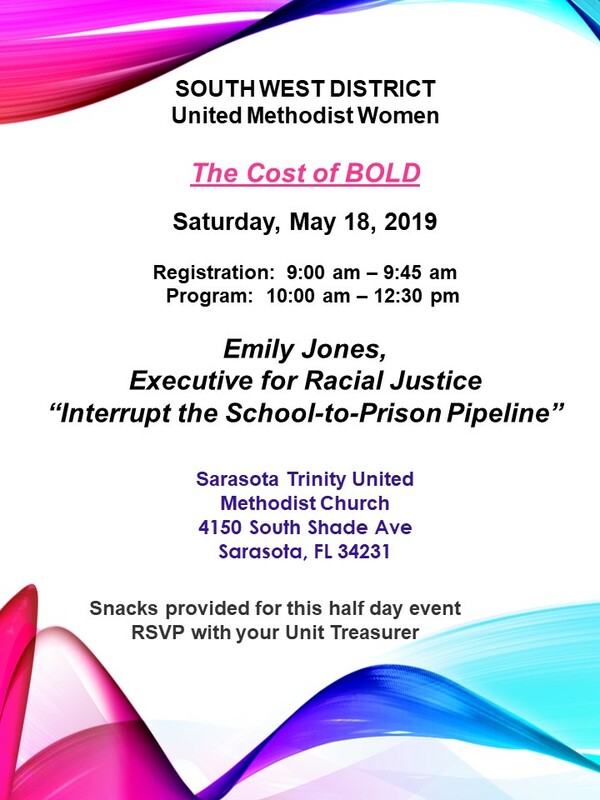 All are invited to join us for a day of learning more about how we can fullfill our Purpose by interrupting the School-to-Prison Pipeline. Emily Jones will give us an overview of the problem so prevalent today and show us ways to use our talents and gifts to help children and youth affected by this in our communities. Since this is a half day event lunch will not be served and there is no cost to you except your time and free will offering during the program. Refreshments will be served. Registration begins at 9:00 am and the Program starts at 10:00 am. RSVP to your local treasurer. 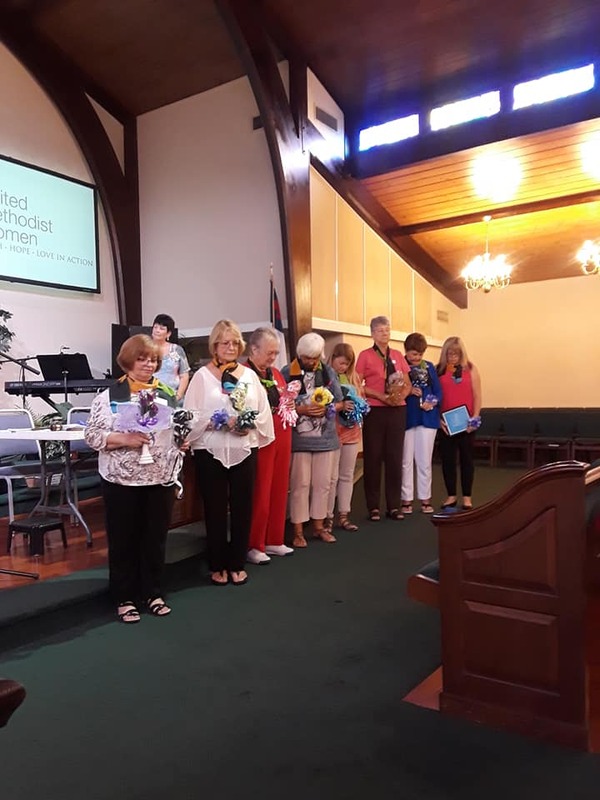 District Officers at the Annual Meeting 2018 District officers being installed at the meeting showing from left to right, Mary Van Tol, Pam Freeland, Pat McShane, Joyce Shelso, Phyllis Jackman, Sandy Barton, Gloria Heston and Laurie Leskanic. Magdala Emonds gave a lovely reaffirmation of the officers as her daughter Ruth handed out different types of flowers which represented their different tasks and responsibilities.